November was #giveback month on the TDS Business Blog. We’ve talked about volunteering, ways to give back to your community and even how workplace giving drives employee engagement. We introduced you to some office heroes and invited you to nominate your own office superheroes. Now, as the month comes to a close, it’s time to put it all together and focus on eight ways you can give back by being an office superhero. Don’t worry, it’s easier than you think! Clean the fridge: Remember those leftovers you brought to work last month? No? That’s a shame, because you may have created some new and horrible form of life. 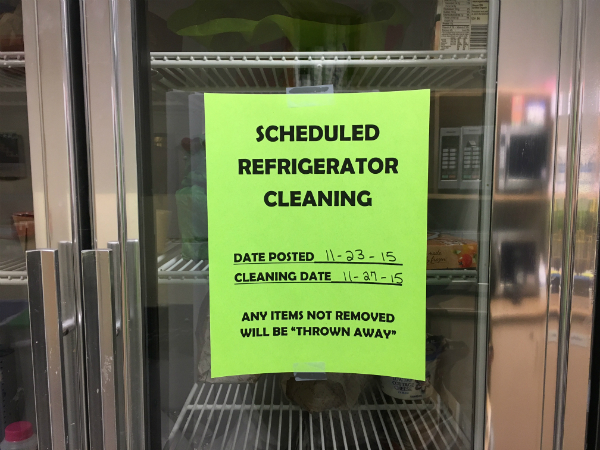 But never fear, because office superheroes brave the slime and mold to clean out the fridge so we can all lunch easy. Make coffee: Everyone knows that leaving an empty coffee pot in your wake is a big office no-no, but a true hero isn’t afraid to make the first pot of the day. Squirrel away snacks: While Bruce Wayne kept his most important gadgets in the batcave, office crusaders keep stores of chocolate in their desk. Let’s face it – hangry hordes are way scarier than the Joker. Organize celebrations: Superheros may don a disguise, but office superheroes know that the rest of us do need to be recognized. They’re the ones who buy birthday cards, gather the group for anniversary lunches, post potluck signups, and throw baby showers. They’re not the heroes we deserve, but the heroes we need. Play doctor: Put down that phone. There’s no need to call HR. What I mean by this is that true office heroes and heroines aren’t afraid to hold the back of their hand up to your forehead to tell if you have a fever. They’ll send you home when you’re sick. It’s for the greater good. Don’t park to close to me: Parking rage is a real thing. Too many dings can turn even your most mild-mannered Bruce Banners into Hulks. Office superheroes know that their duty extends beyond the walls of the building. While maybe they can leap an entire parking lot in a single bound, they’ll leap just a few more bounds and leave the rest of us office mortals a little more space. Volunteer as tribute: When it comes right down to it, superheroes are all about sacrifice. There’s pain in their glory. They’re willing to roll up their spandex and take one for the rest of the team. Be a tattletale: Mike Brady may disagree, but sometimes it’s okay to be a tattletale. While everyone likes to complain, office Avengers know that it’s just as important to express appreciation. They’re the ones who take the time to let their coworkers (and their managers) know when they’ve done a great job, and they make sure the most worthy are recognized on the walls of the Stark Tower Complex (or you know, your breakroom). As you can see, you don’t need superpowers to be an office superhero. All it really takes is a strong stomach, a bit of patience, and a good heart. And maybe a cape (you can’t go wrong with a cape).